Recent environmental campaigns have hit the point home that we’re starting to kill our planet. According to Sky News’ OceanRescue campaign, more than 8 million tons of plastic are thrown away each year and washed out to sea. What’s more, they’re not easy to get rid of once they pollute our oceans or are put into a landfill. Waste, such as plastic, takes centuries to break down, is consumed by marine animals and lands on our plates through the food chain. Politicians and big corporates are starting to realise the scale of the problem and trying to make changes. Retail store Woolworths has committed to phasing out single-use plastic shopping bags completely by 2020. But what incentive has the consumer got to change its ways besides alerts from documentaries made by Sky and The Blue Planet? It’s not the most glamorous of jobs but you can generate a small income from it. 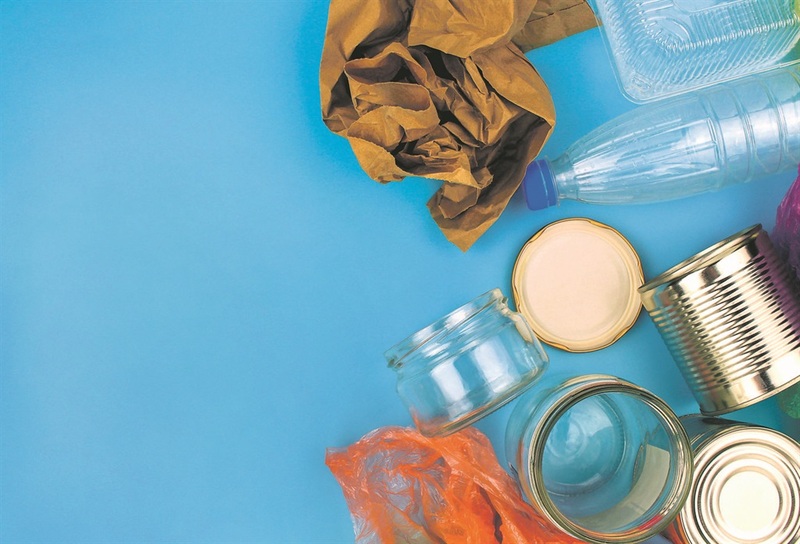 Kate Stubbs, Interwaste director business development and marketing, says the waste-picker sector is on the increase and plays a key role in the country’s recycling strategy. “Waste-pickers are reported to make between R290 and R770 from the waste they collect, demonstrating the potential of waste in creating an income stream for individuals. “And, as recycling becomes more of a national priority, it presents more opportunities for waste pickers to work as one-man bands to support their families, or potentially to organise themselves into small businesses,” she says. In August last year Polyco created the Packa-Ching mobile buy-back service within selected informal settlements and low-income areas around Cape Town and Johannesburg. The initiative enables waste pickers to exchange recycling goods (plastic, paper, metal cans and glass) for money which is determined by the market price of each material type that is loaded on to the Kilorands card (a special debit card), accepted at any shop that accepts Mastercard. Many nonprofit organisations, such as the H18 Foundation, encourage people to get creative with waste so that it can be sold on, often in exchange for a small income. H18 started in 2016 and is a social upliftment programme that provides training for unemployed women – in craft and crochet – in the Joe Slovo informal settlement in Cape Town. “The materials are supplied and the finished products are bought back from the women. “A safe and comfortable space is provided with onsite training and supervision. The next time you decide to do some building work on your property, such as a wall extension, consider using waste. Not only would you be preventing the waste from going to a landfill but it could also provide a cheaper alternative. According to Cape Town’s Two Oceans Aquarium, green construction material can be created from “EcoBricks”. These are two-litre plastic bottles packed tightly with non-biodegradeable waste, which can be used to create sustainable homes, schools and furniture. For more information, go to ecobricks.org or get inspiration Pinterest. A chance meeting with a friend who was generating an income removing dry waste from grocery stores in Johannesburg convinced Siphamandla Ntshangase to get into the business. Ntshangase established relationships with some household-name supermarkets and before long was enjoying a satisfactory cash flow. He moved to northwest Cape and sold his fledgling operation at a substantial profit. In Kimberley he set up a recycling business while attending the entrepreneurship training courses offered by the Paper Recycling Association of SA and the Fibre Processing and Manufacturing Seta. “It really opened my eyes to the whole concept of creating a business out of waste. It identified serious opportunities that could be exploited, using sound business principles and helping me to create a proper marketing plan. I was no longer just collecting boxes,” says Ntshangase. “Our plans include buying baling machines and hiring more people from local townships. Our forecasts suggest within the short term we should be collecting and distributing about 170 tons of paper and plastic a month,” he says.